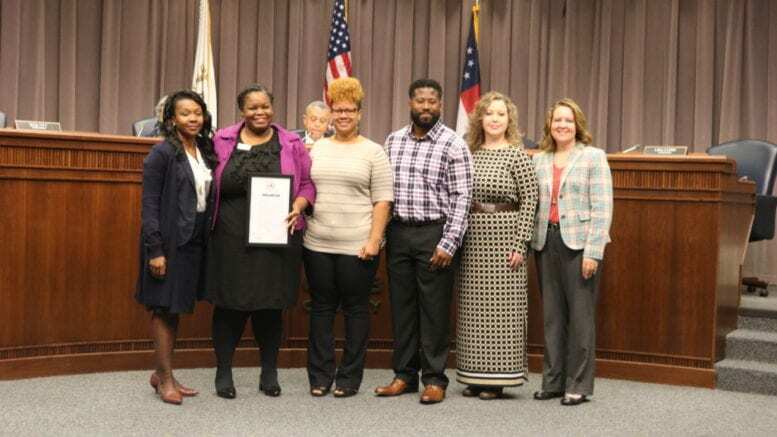 At last Tuesday’s meeting of the Cobb County Board of Commissioners the BOC proclaimed November “Adoption Month,” to coincide with the national observation. On hand to accept the proclamation were Lasondra Howard-Boddie, the Cobb County Director of DFCS, Everlean and Brandon Rutherford, parents who adopted two sons earlier this year, Danielle Farrelley, the Resource Development Supervisor for DFCS, and Carmen Nance, Cobb County DFCS Deputy Director. Brandon Rutherford talked about the experience he and his wife had in adopting two children. “I just wanted to say that we had the pleasure of fostering and adopting two precious little boys … earlier this year, in March, and it’s been an amazing opportunity to not only be a blessing in their lives, but we also have grown exponentially just through our capacity to love and our capacity to be able to care for children and care for people through this whole process. 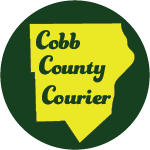 We had amazing support from Cobb DFCS, and they’re actually an extension of our family,” he said. Therefore We, the Cobb County Board of Commissioners, do hereby proclaim November as National Adoption Month. In doing so we urge all citizens in the national effort to raise awareness of the importance of adoption for foster children and all children needing safe, loving families. Presented this 13th day of November, 2018. The proclamation passed 4-0 with `District 3 Commissioner Bob Ott absent from the meeting. Be the first to comment on "National Adoption Month in Cobb County"